Before leaving for Infiniti, Karim Habib first joined BMW as an interior designer. 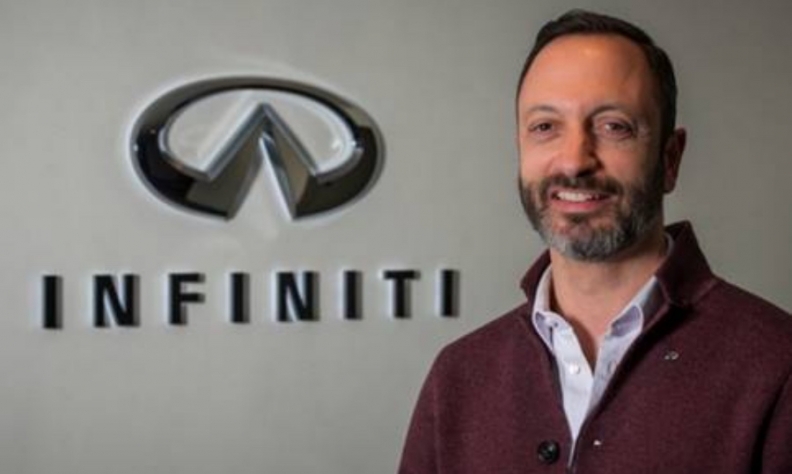 TOKYO -- Infiniti, Nissan Motor's premium brand, named Canadian Karim Habib, former global design chief for BMW, as the brand's new chief designer, effective July 1. Habib, now 46, started at BMW in 1998. He left to work for Mercedes-Benz from 2008-2010 before returning to BMW. In 2012, he became the global head of design for BMW. He left his mark at the automaker as the exterior designer of the BMW 7 series and he’s the one responsible for creating the 2-series convertible. Habib most recently led the BMW Brand Design team in Munich, Germany, where he was responsible for production and concept cars such as, the X1, the X2 Concept and the CSL Homage. "Karim has a strong background and impressive track record in automotive design and the knowledge and mindset to develop a global premium brand" Global President of Infiniti Motors Ltd. Roland Krueger said in a statement. "Design is one of the key pillars of our global brand development at Infiniti. Karim brings unique design skills that will accelerate Infinti progress toward the goal of capturing and expanding our share in the global luxury market." "Karim is very skilled at capturing the heart and passion of a brand while at the same time giving each design its unique character. I look forward to Karim inspiring our teams to shape the next generation of Infiniti,” Albaisa said in a statement.